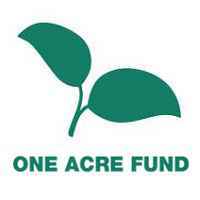 Innovation and constant improvement is the life blood of One Acre Fund. Our Program Innovations Department sits under our Field Operation Division and is tasked with designing, launching, and measuring the success of a portfolio of trials which all aim towards improving our Social Return on Investments. This can be achieved either by driving impact (through scale building trials) or by reducing our spend by farmer by various efficiency plays. Over the years we have progressed from running many small trials to instead pushing ourselves towards fewer and more well designed ‘big bets’ that truly step change our country SROI. In 2019, we are planning to take the idea of ‘fewer bigger bets’ one step further - namely towards One Big Bet. That is what this job is all about. You are a talented professional with solid experience in designing and executing trials. You have strategic thinking skills as well as enjoy problem-solving and working in a fast-paced and high-stakes environment. In addition, you have a solid track record of fostering professional growth in others. One Acre Fund’s work is evolving rapidly and we are in need of Program Rotation Managers who can take on critical leadership roles, collaborating with other executive leaders, to work on some of the most impactful and highest priority challenges facing the organization. This program provides highly qualified candidates a chance to contribute to the organization from a variety of leadership positions, building the breadth and scope of their professional experience. Program Rotation Managers will have the opportunity to plug into multiple high-priority projects followed by an extended posting. -Ability to build teams and collaborate with colleagues from diverse backgrounds.